When SX first told me that he wants to adopt guinea pigs, I strongly refused to let him do that. One, I felt that we did not know how to properly take care of these pets. Two, it was just after he watched the movie Alvin & the Chipmunks, so I felt that his interest might only last at most 2 weeks. I did not want him to irresponsibly abandon them after his interest wears off. He went to get the guinea pigs from his friends anyway. Tsk. I've never been very fond of animals. I like the cute ones, but I had never wanted to care for them as much as the average animal lover. To be exact, I don't really have much interest in them. 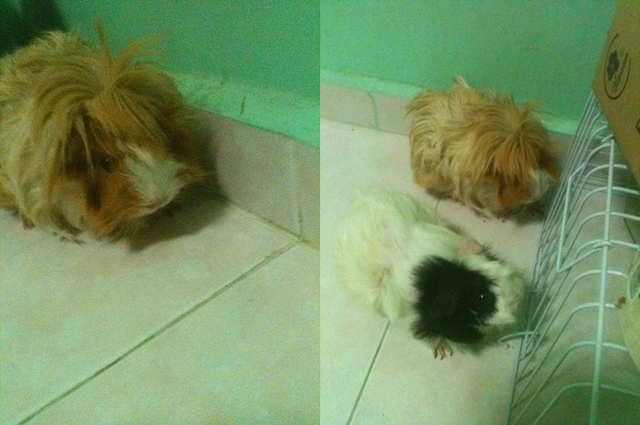 But after having these two guinea pigs, I realise that I love these two little kiddos alot! I miss them all the time and want to visit them as much as I can. Their names are Brownie and Panda. The names are super uncreative and uncute right? That's because they were named by him, not me. Haha. I would have given them some witty names! He actually invited me over to name them, but I realised that even before I could think of a name, he has already started calling the black & white one 'Panda'! I guess Panda is quite suitable for it, because of the black patch across its eye, so I decided to just let the name stay. Panda is the more greedy one. I love it when its eyes brighten up and crept towards me whenever it hears me opening a packet of food. 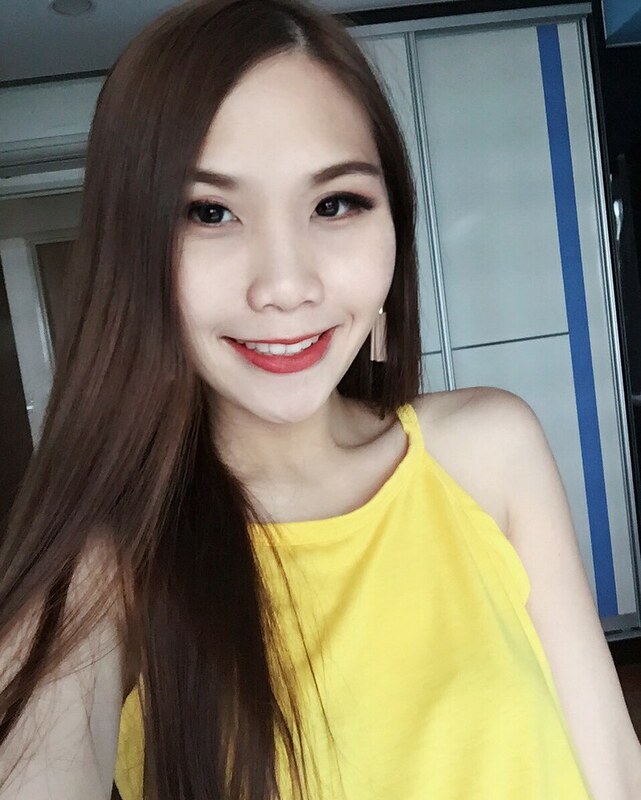 However.. to be honest I personally think that Brownie is cuter :x I might be a little bias here although I wish to be equal to both of them. But Brownie got that super cute face and its fur is so nice! 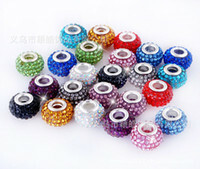 Love the color!!! 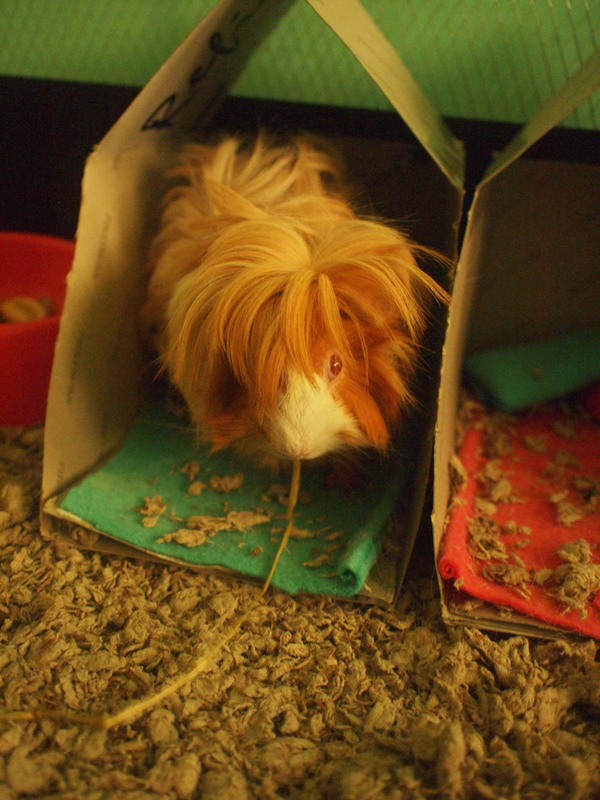 But its fur is very messy, unlike the other neat furballs when I see other people's guinea pigs! Anyway, they are both girls! This picture below was during the first few days, while SX was cleaning their initial cage. They stood nearby to watch! We are both afraid that they would pass away suddenly because we have bonded some love with them... It'll be very saddening and I'm not prepared for it at all. I did alot of research on the internet so that we can take care of them properly. We are not sure how old these guinea pigs are too. I think they should be around 4 - 5 years old, since they had a previous owner. I also bought many food and toys for it. 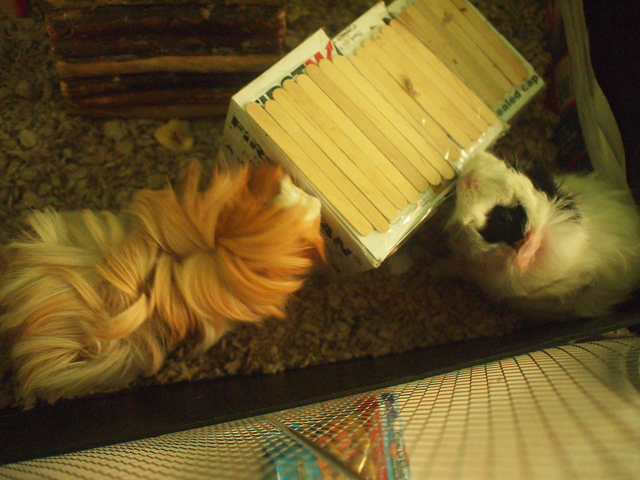 Shall blog about how we set up a whole new housing for them in another entry!